The answer is NO. There is no one more adorable than Rami Malek. 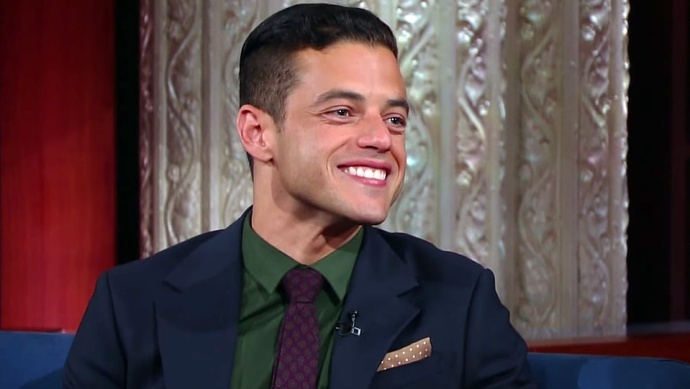 Every single time I’ve seen him appear on any talk show or red carpet interview, Malek is grinning from ear to ear and that smile is just infectious. To be fair, that was a pretty cool observation. Just watch this entire clip, which includes the pair taking the first picture to go on Malek’s Instagram, and tell me you didn’t grin alongside Malek the whole way through (I won’t believe you). Also, I need to know if Malek is his own stylist, because his color combinations are stunning and his suits are always sharp. Mr. Robot airs on USA tonight at 10 pm EST. Mr. Robot: Who is Keyser Söze? !